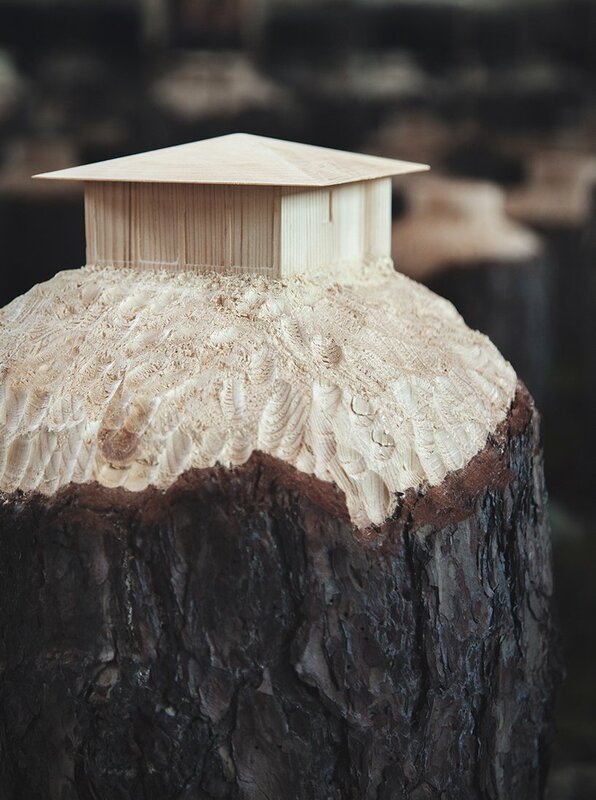 Hand-carved pine trees found in a forest of Northern Sweden were made to resemble iconic architecture throughout design history. 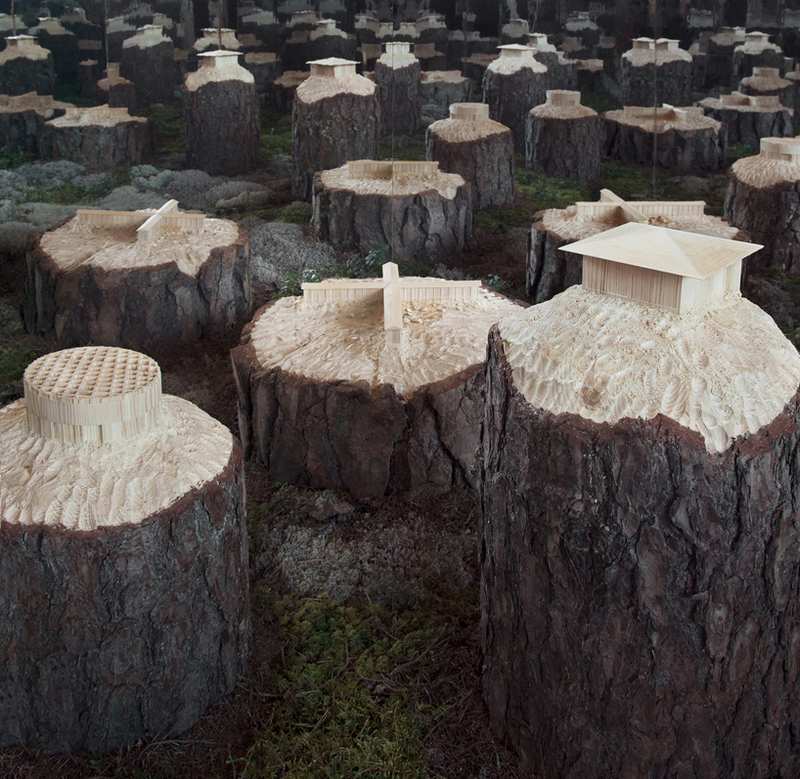 The art installation served as more than just a commemoration towards well-known design but also as a narrative concerning the future of the Swedish wood industry through a fictional character surrounding the showcase called Naturalis Brutalis. The art installation was inside of the Serra Dei Giardini Greenhouse as part of the “plots, prints, projections” exhibition for the Stockholm-based Krupinski/Krupinska at the Venice Architecture Biennale. Each piece shows a high level of woodworking craftsmanship. For the exhibition, the fictional character Naturalis Brutalis comes alive. 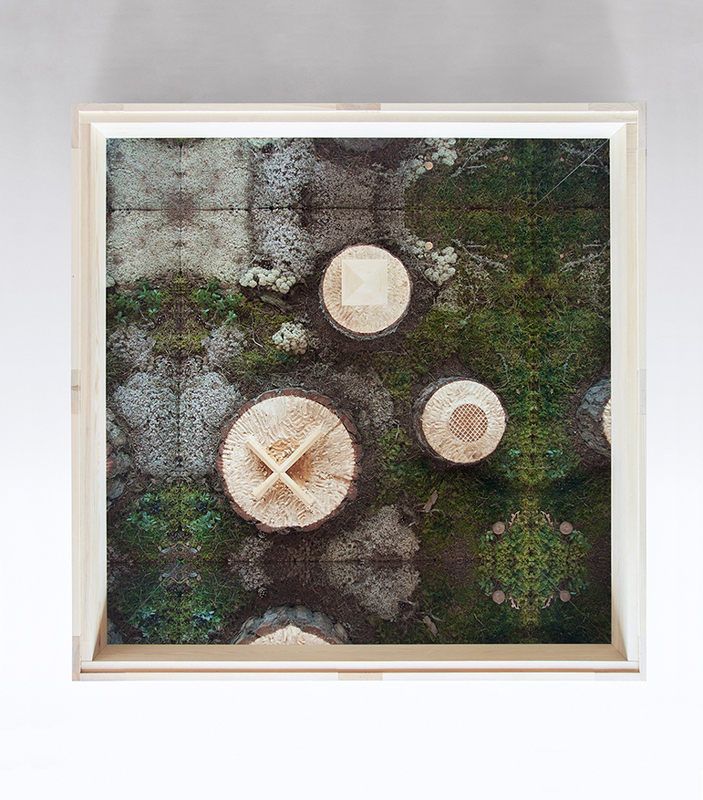 To add even more vitality to the narrative, a piece of the forest where the Naturalis Brutalis are said to come from was brought inside a freight-box with the inner walls adorned in reflective mirrors creating the illusion of their habitat inside of the greenhouse. For a deeper understanding of the art installation, it is important to note that the main sponsor of the exhibition is the Swedish wood industry which has a rich but controversial history when it comes to large scale tree felling in relation to building materials for architecture and design purposes.